In two weeks, UNSTRUNG will launch, and I can’t wait! It drops on October 17th and if you pre-ordered it, the book should show up on your eReader device at midnight Pacific time. But I know two weeks is still a bit away, so I wanted to share the following tidbit with you. 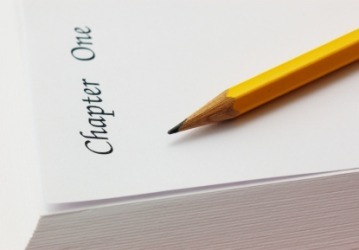 Yep, it’s time for the chapter one teaser! Enjoy! The safe unlocks with a quiet click. Moving slowly, just in case there’s a tripwire I haven’t disabled, I open the door and reach inside. The chip rests in a foam-lined box. I ease it free and slip it into a small pocket inside the gear pouch strapped around my waist. I close the safe, then start a cautious trek back to the window. I’m careful to retrace my steps, traveling the exact path I used to come in. So far I’ve bypassed a laser tripwire net, a few pressure plates, and a motion sensor. Kind of disappointing. I thought one of Precipice’s labs would be more heavily secured, and I like a challenge. This room is too easy—just four wide lab tables with thick, black tops, some data equipment on the counters and the wall safe. A few terminals even provide a soft blue glow to work by. Nothing to get in my way or force me into the motion sensor’s path. Much, much too easy. I take a deep breath, trying to refocus. C’mon, Lexa. Time to concentrate, girl. It’s no good; the nagging feeling I’m in trouble won’t shake loose. The Quad’s businesses aren’t usually lax on security. Their systems are top-notch and with the cops in their pockets, it takes an audacious thief to break into a Precipice Industries building. Honestly, I’m the only one crazy enough to take this job, but being seventeen means I’m allowed to do stupid things, especially for a good paycheck. I’m almost back to the window when a cool breeze ripples across my skin, like the climate control system has started. Immediately, a blue light clicks on in the ceiling and my whole body goes numb. The beam has me flash frozen in place. Skies, what is this? Why can’t I move? My mind’s screaming for me to get out of here, to run, but it’s like my legs don’t understand the commands. I push against whatever is holding me still, willing it to leave me alone. As if it hears my thoughts, the blue light turns off and I can move again. It’s too late, though—the alarm starts shrieking. I dash for the window and slide onto the ledge. My heart slams in my chest, almost like it’s trying to reboot, which is bad since I’m on the eighth floor and the ground is far below. There’s no time to catch my breath, no time to calm down. I pat my gear pack, feeling for the data chip in the little pocket deep inside. At least I got what I came for. Making it home with my prize in hand will be a different story altogether. It takes thirty seconds to test my climbing anchors, clip onto my cat-line and swing off the ledge. It takes another thirty seconds to rappel down the side of the brick building. The alarm is still shrieking overhead. From the dark of the alley, each light that comes on in the windows makes me move faster. At one point, a member of the night watch peeks outside. I flatten against the wall. This is going to be a close one. Maybe the closest yet. A bead of sweat runs down my chest, trickling its way into my navel. It’s torture, but I stay pressed against the wall. Another bead follows the first, then another. I want to wipe them away so badly I have to grit my teeth to stay my hand. If I get caught…no, I can’t think about that right now. I won’t get caught. After the guard moves away from the window, I punch the release on my climbing anchors, jumping clear as they fall to the ground from the roof. My cat-line comes down in a tangled wad. No time to fix it. I shove the whole kit—anchors, line and descent vest—into the saddlebag compartment on the back of my hover bike. She comes to life with a gentle hum and the propulsions on the bottom glow a faint purple. I special ordered that color because I like a little flash. If I’m going to get caught, I’ll do it with style. I’d rather not get caught, though. Sirens wail in the distance, closing fast. Hunched over the handle bars, I ease the bike onto the street behind the lab, then kick it into glide mode. The shadows of giant skyscrapers bear silent witness to my flight. In the clean order of Triarch City, I’m the one bit of chaos those buildings and their perfect little occupants might experience in the next week. Maren—the Quad’s leader—sees to that. Square pegs like me don’t fit into her world order. Which is why the sirens are getting closer. I kick the throttle into flight mode as I enter the ramp to the highway. The hover bike runs like molten glass and I streak down the dark street in a burst of orange light. Streetlamps become laser beams, their flashes the only indicator of just how fast I’m going. This time of night, there isn’t much traffic; good thing, because this run is dicey enough. Call me old-fashioned, but I don’t like endangering innocent people in the name of a job. I hazard a look in my side mirrors. Flashing lights give chase. Stars, they’ve sent a hover-tank after me. I have a jamming signal built into the bike’s computer, which keeps them from seeing me on their scanner. They have to rely on a visual search. Not easy to do—the tanks have to fly much higher than my bike, and they aren’t as fast. I have to hope speed’s enough to keep them at bay. My capture would make the cops’ night, what with the reward and all. I shiver, thinking about what awaits me in jail, especially since my boss wouldn’t bail me out. I’d be on my own. The highway curves around the lake and I lean into the turn, zipping past the last monorail station. Beyond the empty train platform, the road stretches dark and cold, leading to the warehouse district on the far side of the lake. Once I cross the bridge, I’ll be in the home stretch. I hit the boosters and the hover bike lurches forward, the thrusters throwing off a brilliant yellow glow that’s reflected in the water under the bridge. The flashing lights drop back. The exit ramp at the end of the line comes up fast. I cut back on the throttle and grind my way onto the side streets, taking a hard turn between two steel-sided warehouses. At the end of the alley, I drop the bike into glide mode and the thrusters change back to purple. Another hard turn—more slowly this time—and the bike pops through the narrow doorway into Turpin’s building. The metal door rolls down automatically once I’m safely inside. Holding my breath, I cut the engine so the cops won’t know I’m here. It takes a minute or two for all the sirens to pass into the distance. When they do, I permit myself a sigh of relief. Just the one. I pull off my helmet and toss it in the corner, where it clatters against plastic boxes used to maintain our front as a snack foods distributer. My boss likes to joke that we sell crackers during the day and steal chips at night. Never found that funny, to tell the truth. “You’re back early,” Jole’s voice echoes through the warehouse from the overhead speaker. Grumbling, I prepare to strip. My hair streams down my back, damp with sweat earned during the chase. Pissed at the formality or not, it feels good to peel off my leather jacket, boots and tight, black jumpsuit. I hate the jumpsuit, always feeling like a wannabe ninja wearing the thing. Occupational hazard. In my tank and boy shorts, I pad barefoot across the concrete floor to a door marked “authorized personnel only,” and pose for the security camera. Hand on my hip, I blow Jole a kiss. “You know your charms don’t work on me,” he says. I enter a pea-green hallway and stop when the door behind me relocks. My skin crawls with the tingle of a full body scan before a light flashes up ahead. We’re going all out with security tonight. The boss must be feeling extra paranoid. What, does he think I’ve been compromised. Or worse, copied? Who’d they expect? One of Maren’s Bolt girls? Sure, she has an army of artificial humans, but it’s too expensive to copy real people just for the sake of spying on mid-level criminals. Jole’s voice reverberates off the hard walls and shakes me loose from whatever hold the white hallway has. I’m in trouble; that’s enough to get my attention. He buzzes me through the last door and the smell of mildewed tile seems like a reward after the night I’ve had. The locker room’s showers keep the air humid; I can almost feel the warm water on my shoulders. But no, a soak will have to wait, because Turpin’s summons has to be answered. Sighing, I pull a pair of jeans and sneakers out of my locker. “Now” doesn’t mean “right this second” when I’m in my underwear, no matter how pissed off the boss is. The adrenaline has worn off and getting dressed takes a lot of energy. Exhausted, I head for the stairwell with low expectations. Turpin lives on the third floor of the warehouse, and his digs look less industrial than mine or Jole’s. The boss has carpet, even in the hallway leading to his office, and old-timey wall sconces with yellow light bulbs put off a soft glow. I pause before the heavy steel door, trying to gather my excuses into a bouquet of half-truths before the yelling starts. “I know you’re out there,” comes Turpin’s muffled shout. Well, of course he does. Cameras never lie. I push the door open, head downcast, hoping he’ll think I’m being contrite. He takes off his glasses. So what if we can cure blindness; Turpin likes anachronistic things more than perfect eyesight, which also explains the wool sport coat and the gray hair even though he’s only forty. Holding in a snort takes effort, but I give him a nice, obedient smile. Turpin knows that working on tech is my least favorite chore. Helping Jole is punishment, pure and simple. The sick thing is, I know I deserve it. I failed. I turn slowly and close the door with a quiet snap once I’m in the hall. How did I mess up like this? I pride myself on being the most careful “acquisitions expert” Turpin has ever had. With measured steps, reeking of discipline for Turpin’s cameras, I stroll to the locker room for my shower. Greeted once again by the smell of mildew, I take a seat on the metal bench. It’s only then that I let go and punch the locker door. This entry was posted in Blog on October 3, 2014 by Kendra.